It is not very clear on the picture, but I washed the chipboard swirl lightly with some distress ink to give it a soft blue hue. post over at SCRAP AFRICA. Gorgeous project! 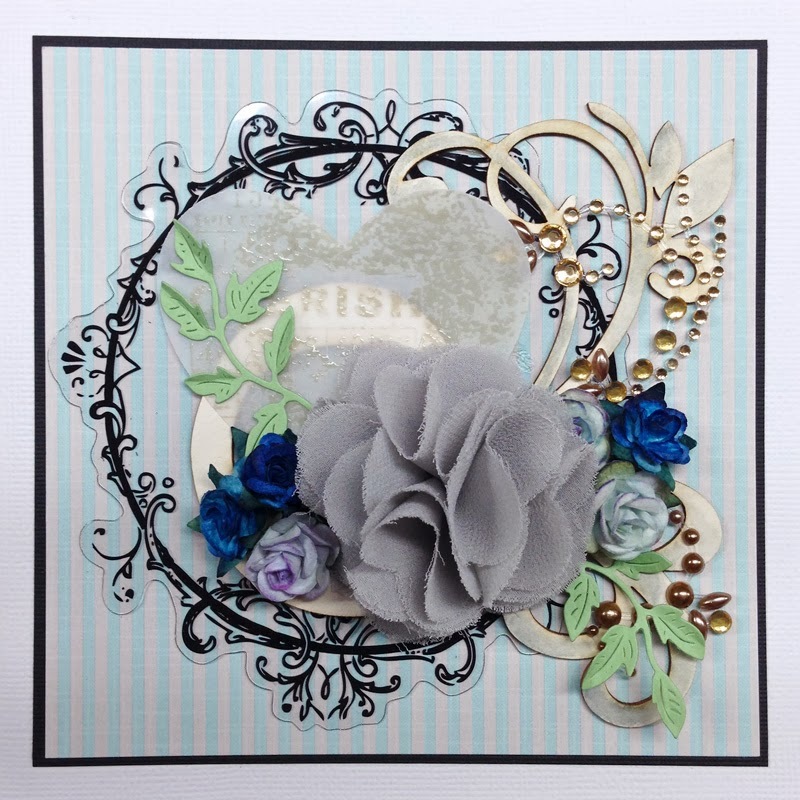 Love the beautiful flourish and fancy fabric blossom! So pretty! I love, LOVE what you did with the chipboard!!! !